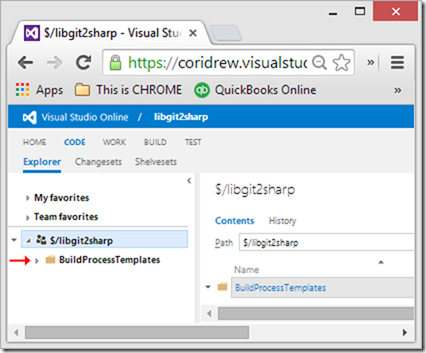 I was testing with VisualStudioOnline, soooo…. To work with Visual Studio online from the Git Command prompt, you must Enable basic authentication for your Visual Studio Online account. 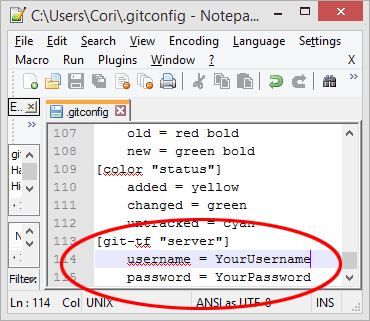 This forces you to enter your username/password EVERY SINGLE TIME you push or pull using git-tf. The –global switch prevents it from being stored in the project’s .gitconfig, but be aware that this will add it, in plain text, to your global config file (which lives in C:\Users\YourId\.gitconfig). I originally thought “git tfs init” was intended to create a new TFS repo. 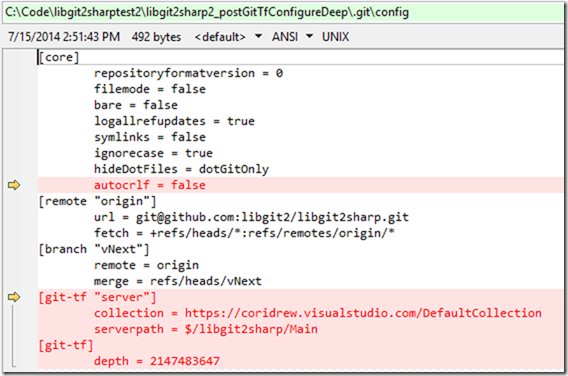 I could not find a way to create a new TFS repo & push an existing git repo up to it, solely using the git-tfs bridge. This will also be mentioned in the troubleshooting section of my next post in this series about pushing to TFS.